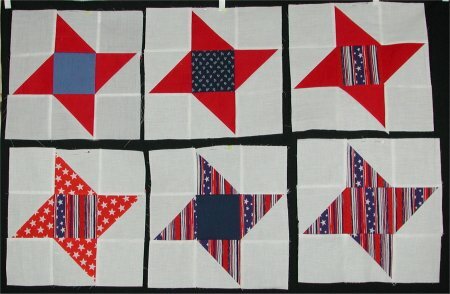 In the wake of the World Trade Center destruction on September 11, 2001, a call went out to quilters to make specific blocks to be assembled into memorial quilts, charity quilts and honor banners to acknowledge and commemorate the victims and heroes of this horrific event. I, among thousands of world-wide quilters, answered this call. My contributions are shown above. The website for this project is at www.wtcmemorialquilt.com.